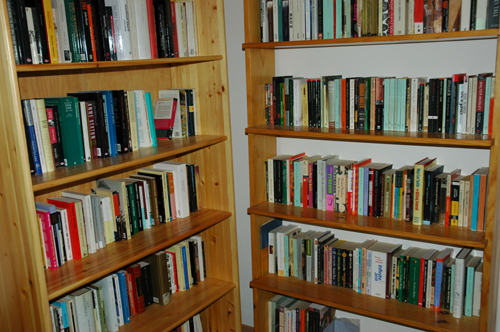 About the library: These are some of the shelves in our library. 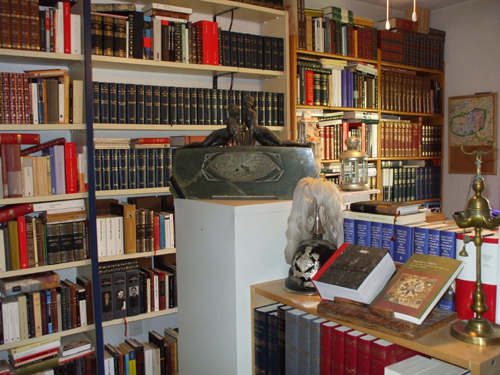 We have about 800 volumes, most of them US and British fiction. About the library: This is my little library, well…, a little portion of my little library. I spend here all my time, all my life. Books, only books. A chaise-long, the world of my shelves, and a good book in front of me is all I need when I’m alone. Luis send me a slightly different image of his library after this post. You can view the photo here. 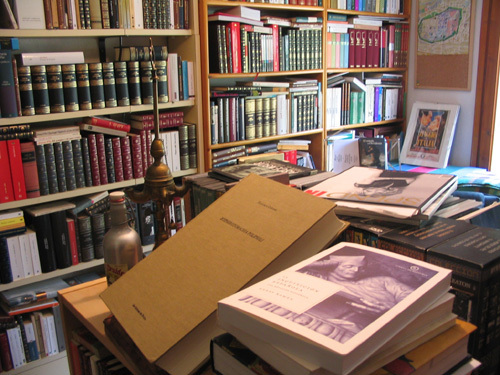 About the library: The photo is one part of the library. On the other side are more shelves and a rocking chair. This chair is mostly uses by the cat, who sleeps in it.